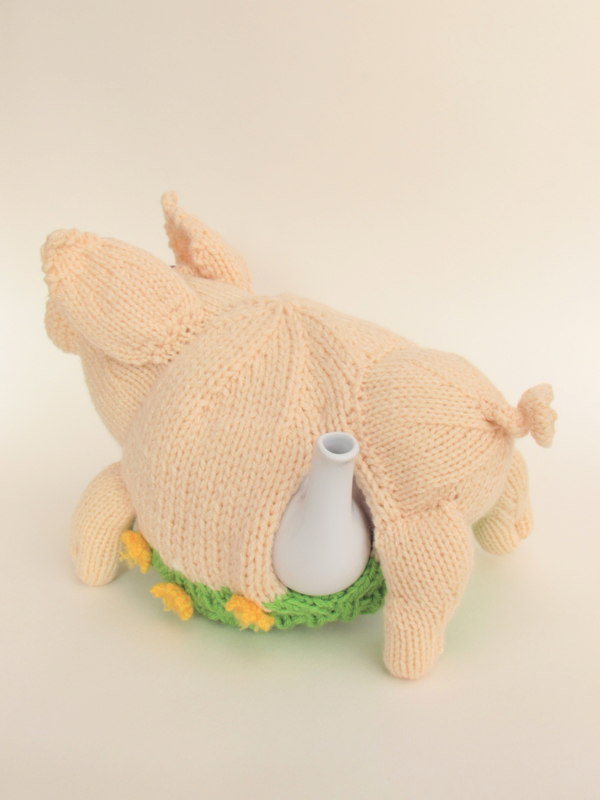 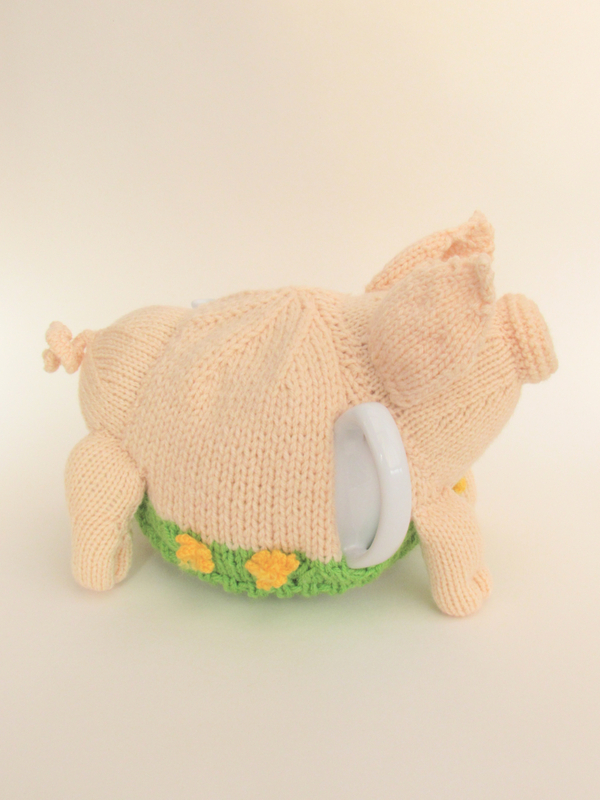 The British Lop Pig is a lovely big pig that makes a perfect tea cosy. 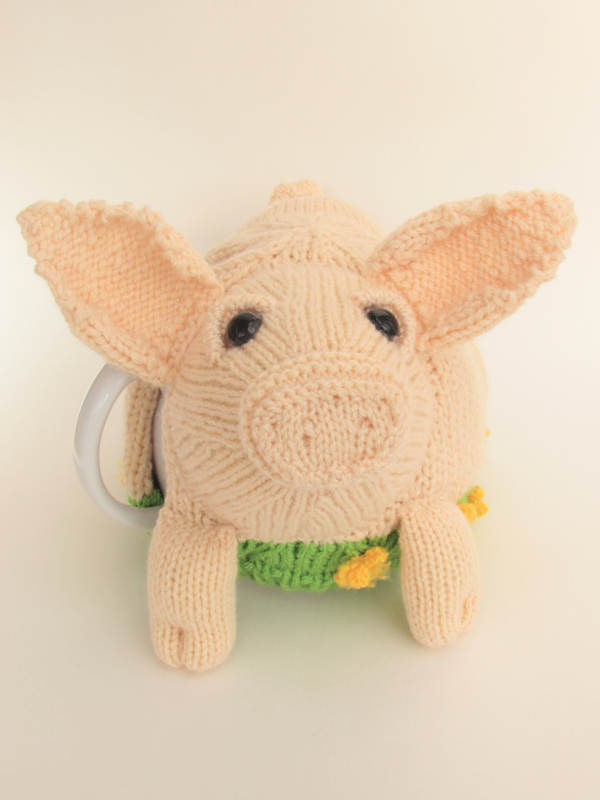 Named after it’s over sized ears that hang in its face, the pig is a pail skin breed. 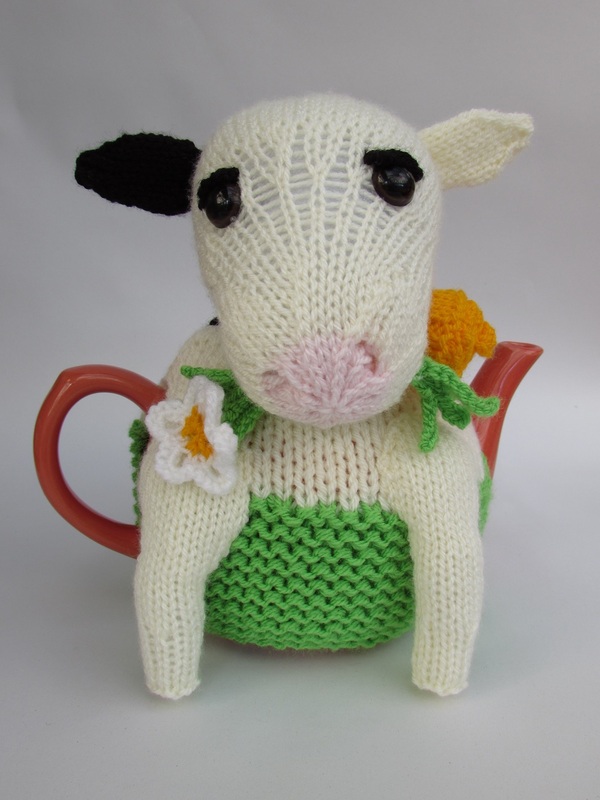 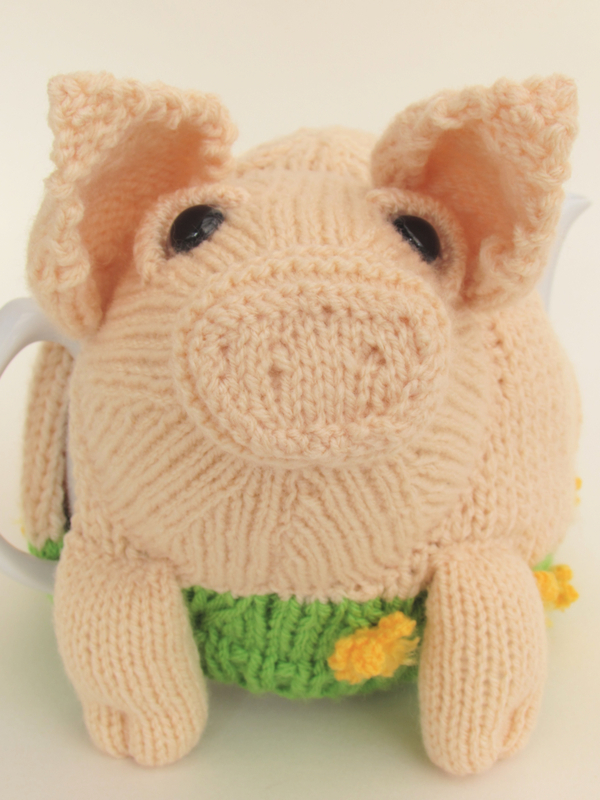 The Lop Pig tea cosy is standing in a meadow of buttercups. 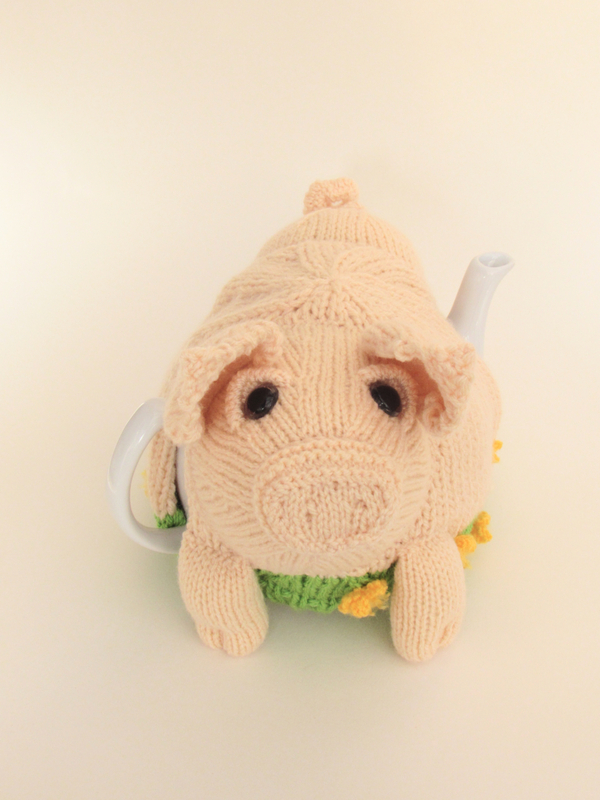 Her head is up and alert and you can see her wrinkled snout. 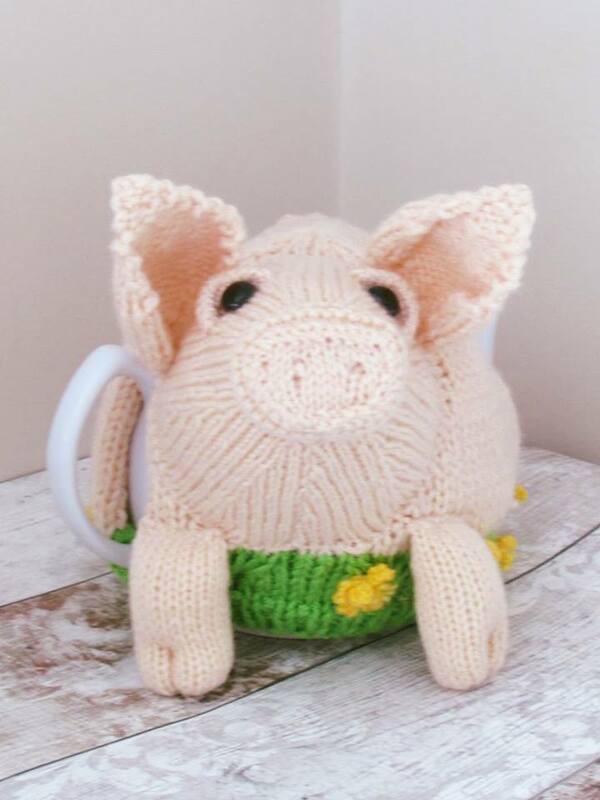 I love her trotters, they are short and chunky. 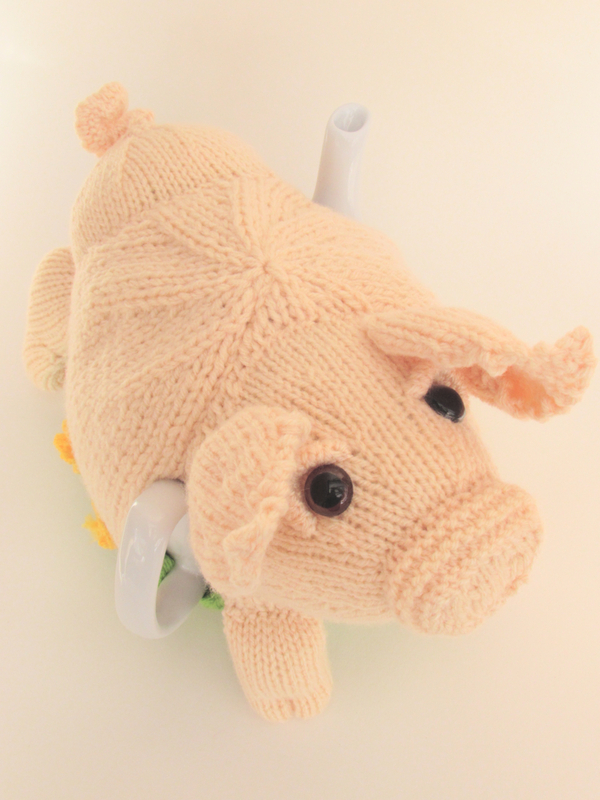 Pigs are so adorable, I think their bulk and their cute features add to their attraction. 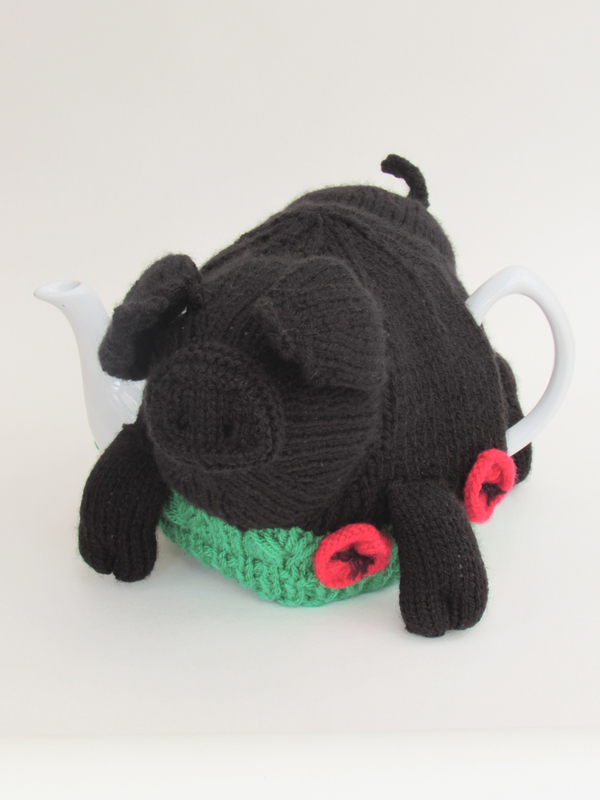 I was asked to make a large black pig by an American pig breeder, you can see her tea cosy on the bespoke tea cosy page. 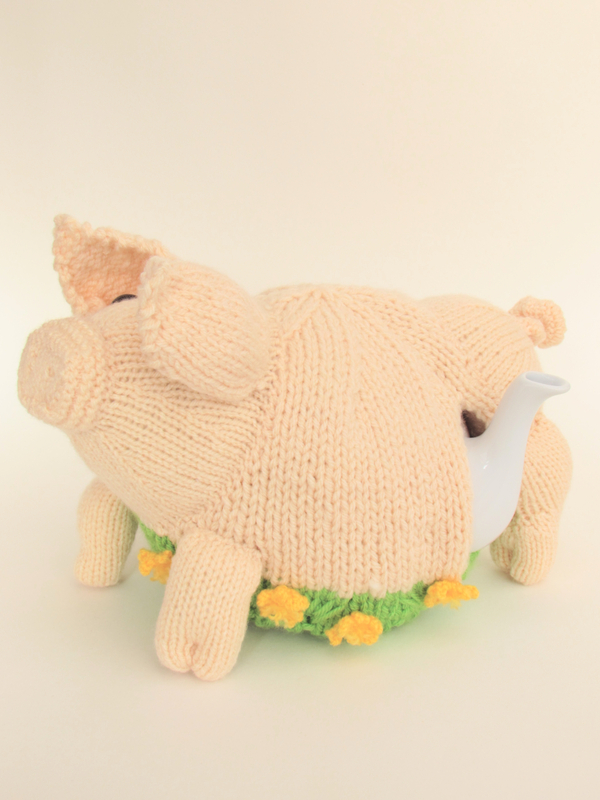 It’s the same knitting pattern for the large black pig and the British lop pig tea cosy, you just change the colour of the yarn used. 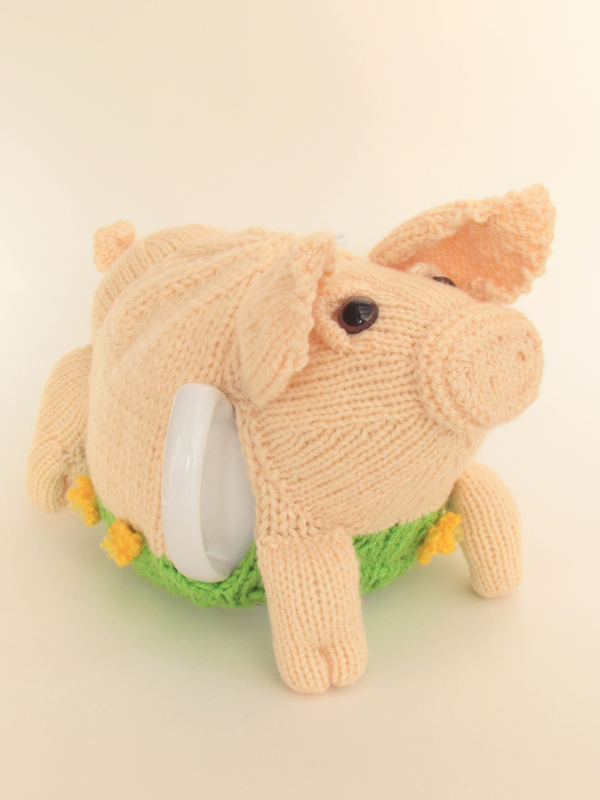 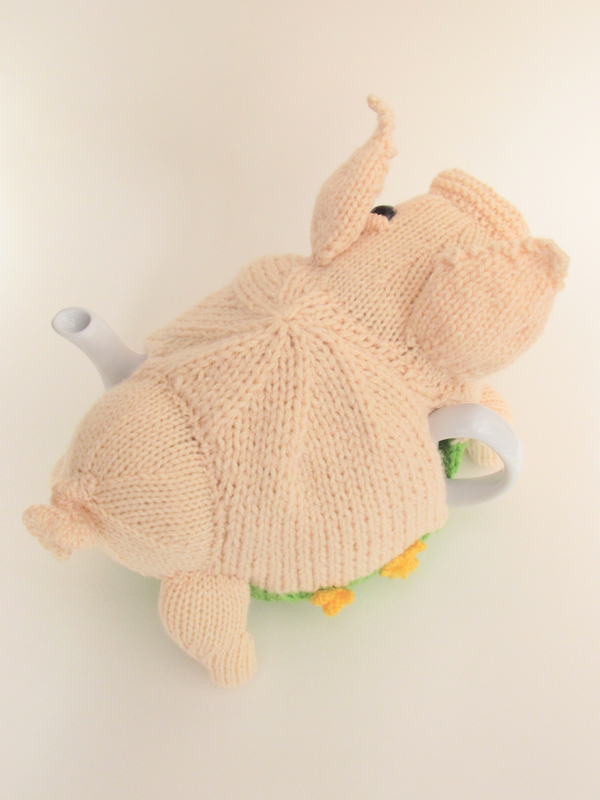 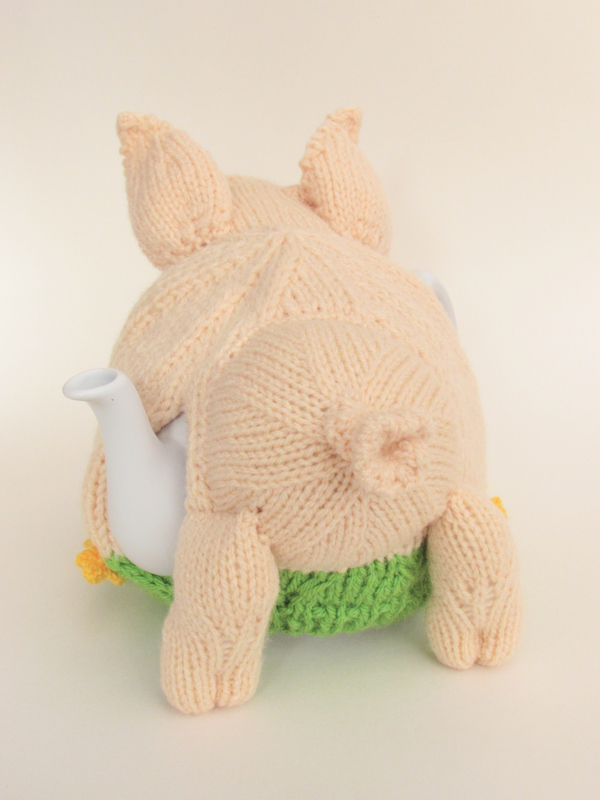 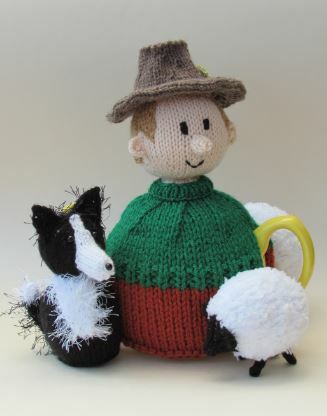 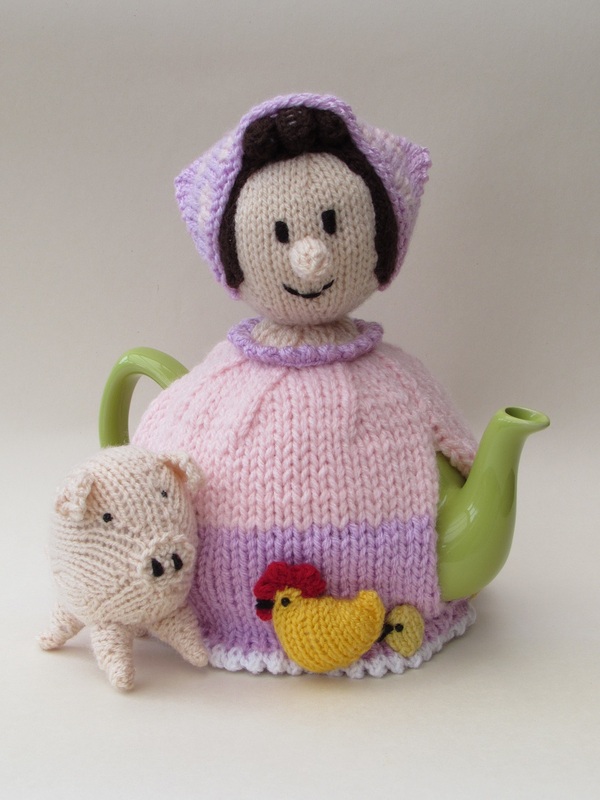 The pig tea cosy fits a Price and Kensington large sized teapot that holds 10 cups. 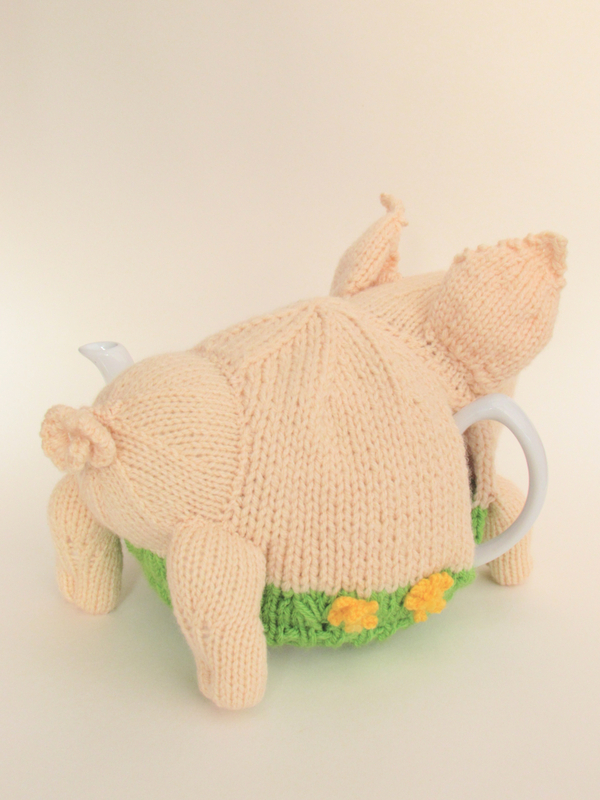 Perfect for when you want a lot of tea. 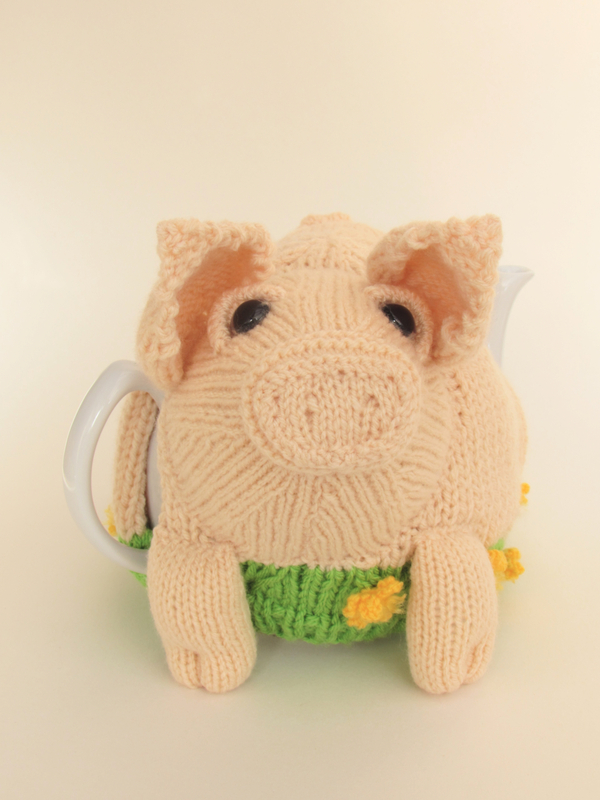 This little piggy stayed home and kept the tea warm.